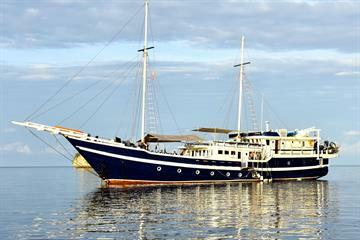 KLM Euphoria was newly built in 2012. 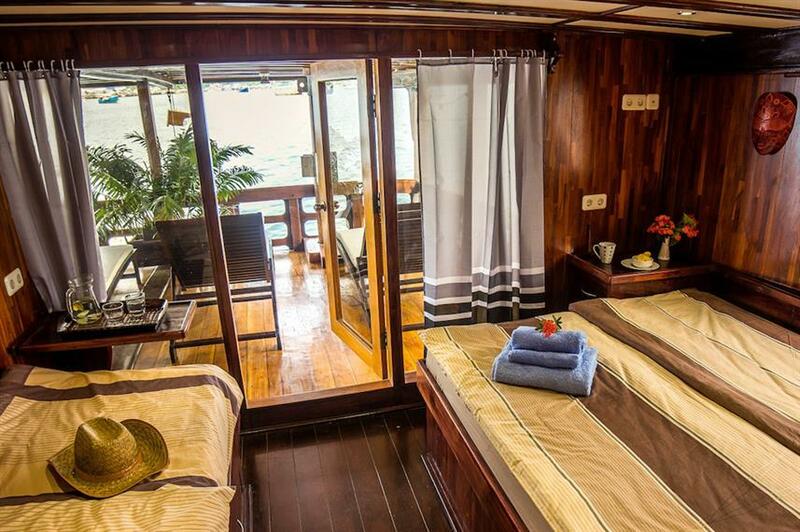 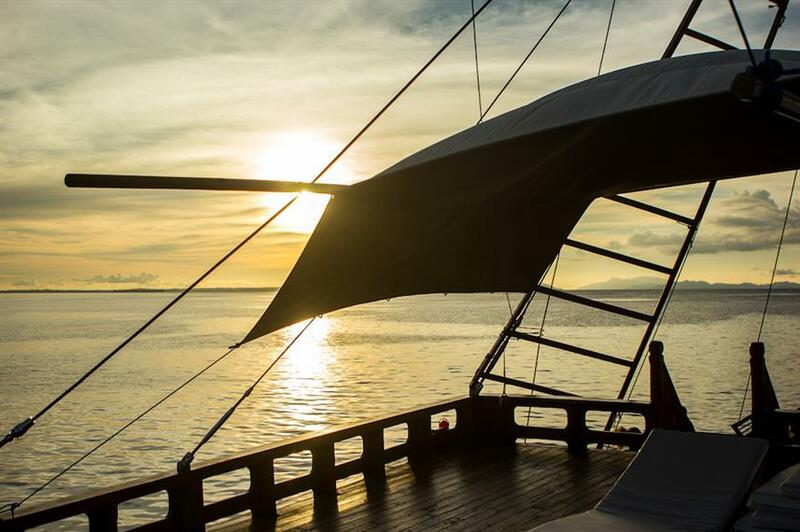 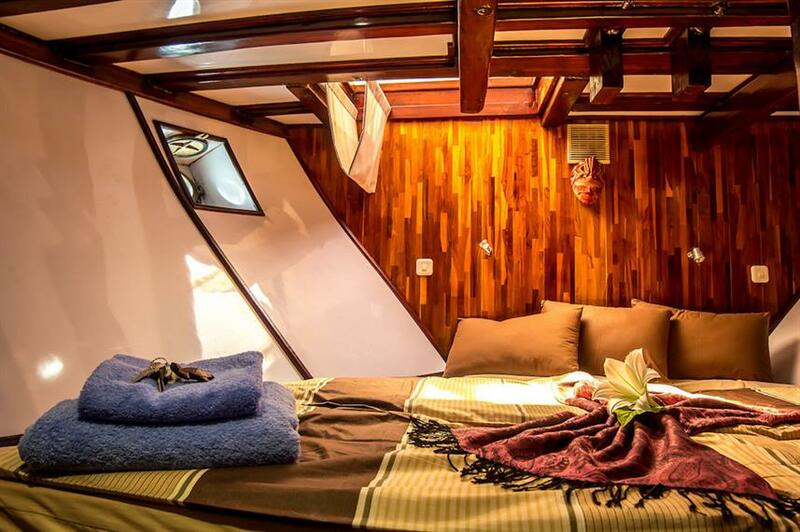 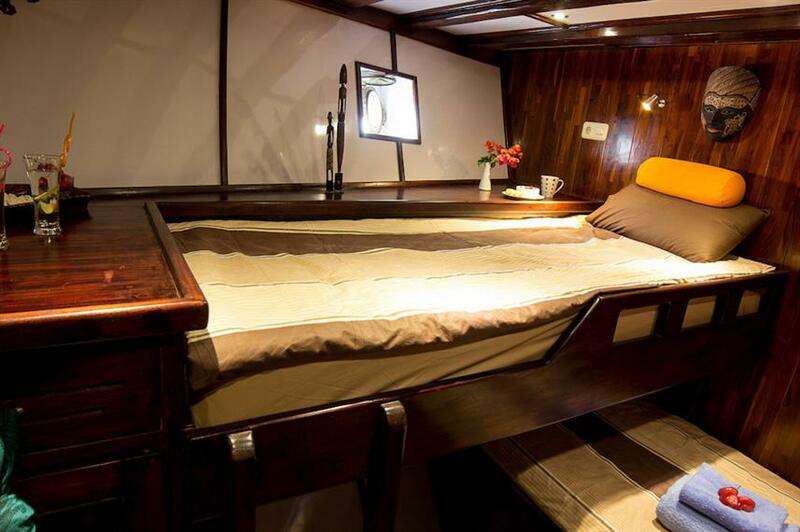 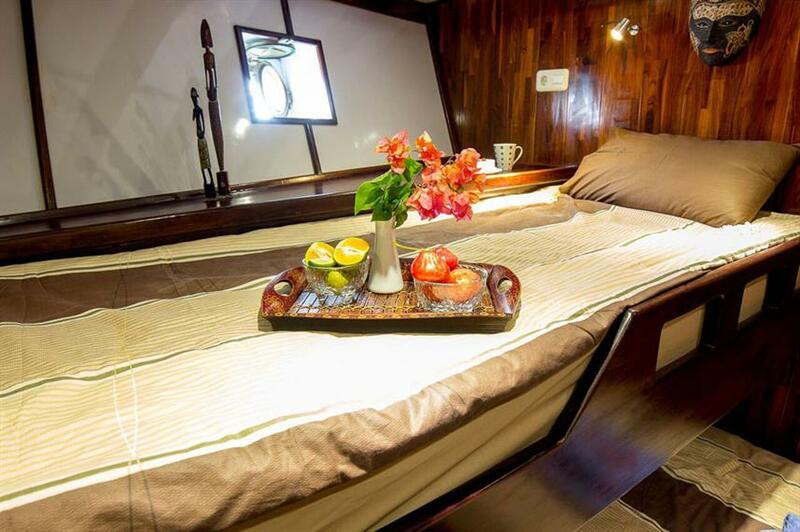 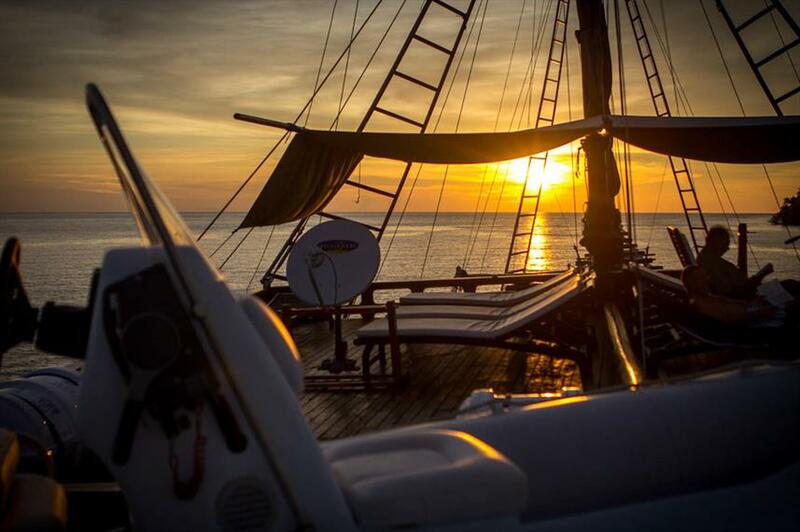 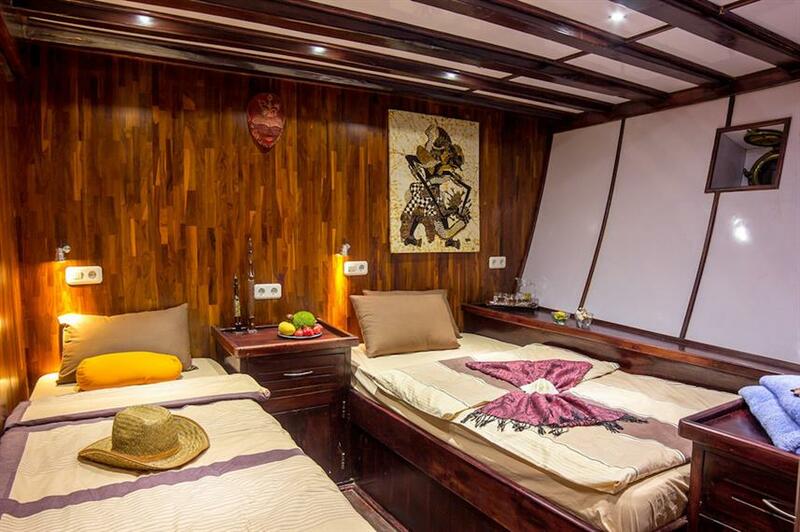 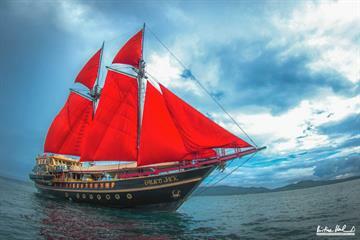 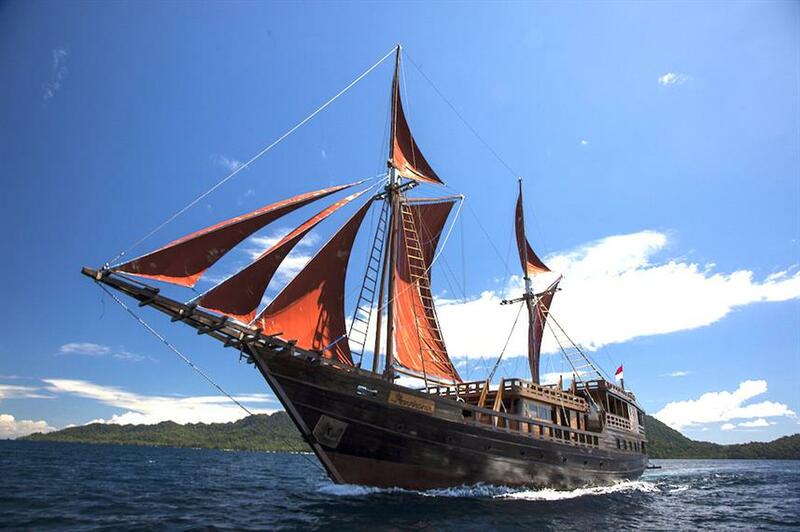 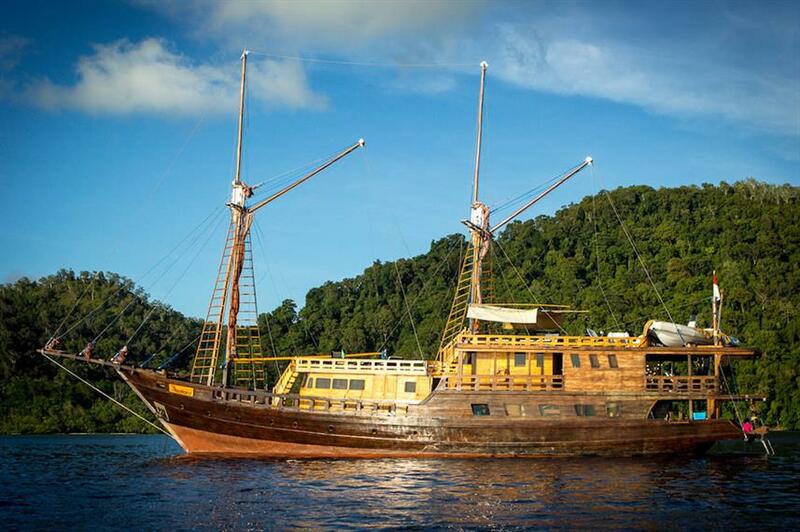 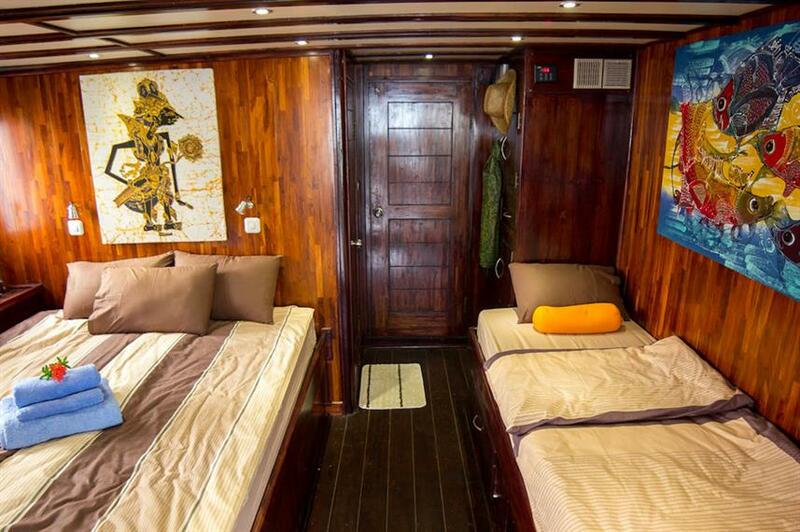 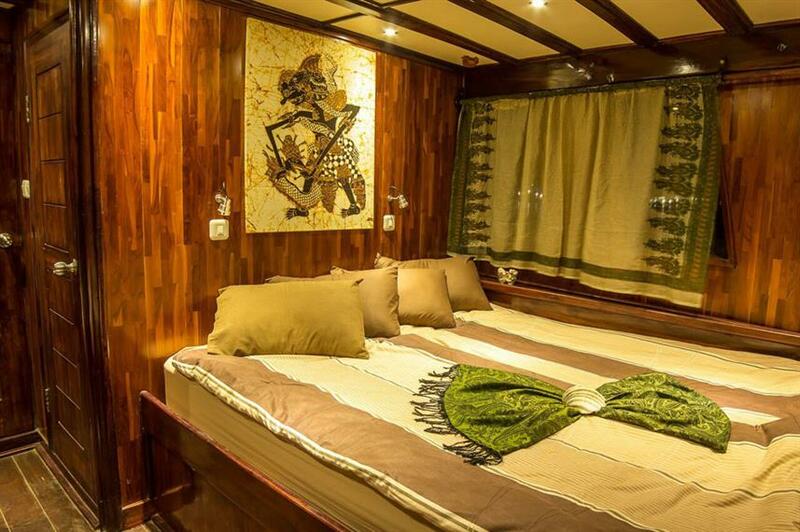 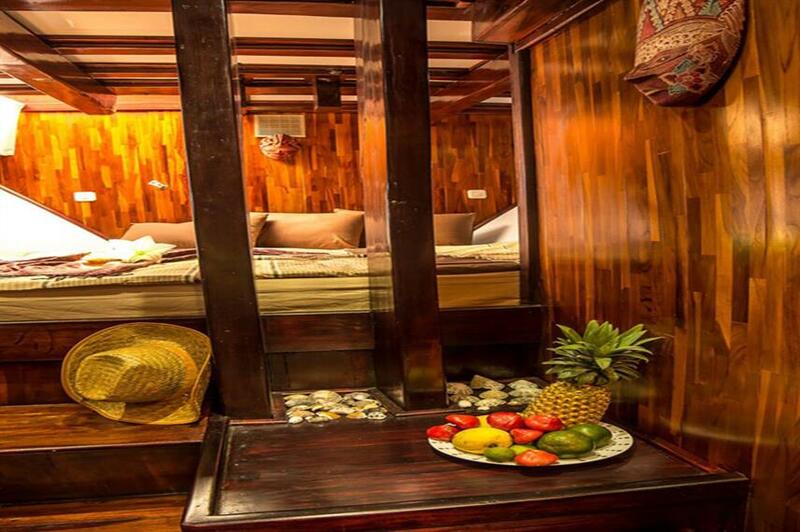 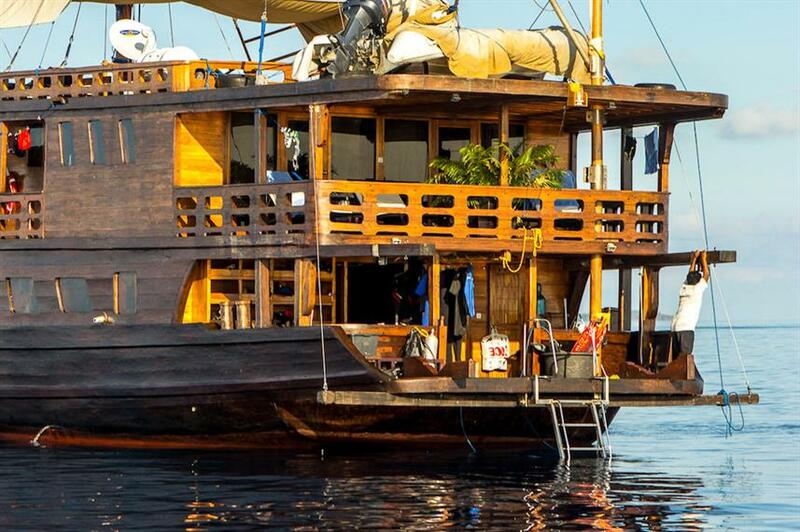 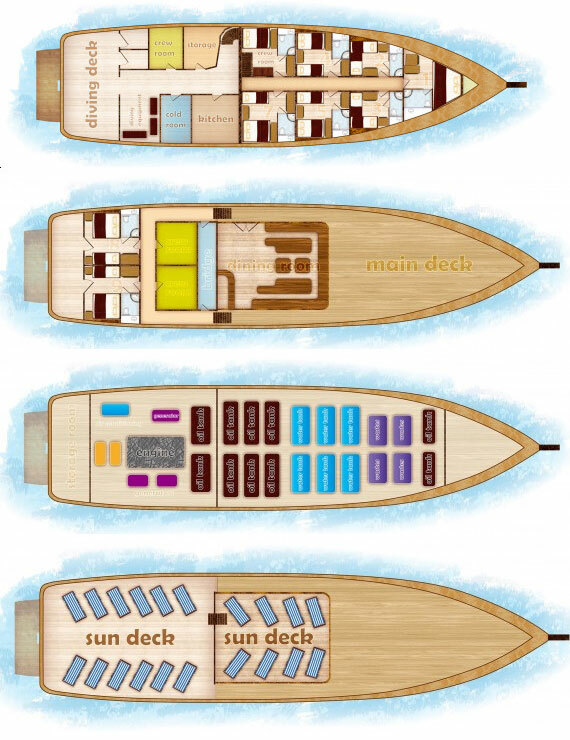 At 42m in length it offers luxury liveaboard cruising in the rich waters of Indonesia. 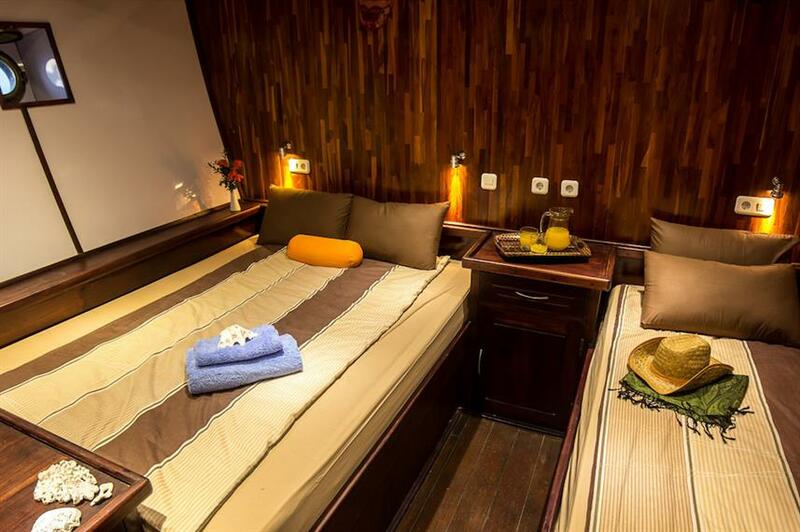 KLM Euphoria is a state of the art sailing ship featuring 5 cabins and 2 master suites offering superior comfort and elegance. 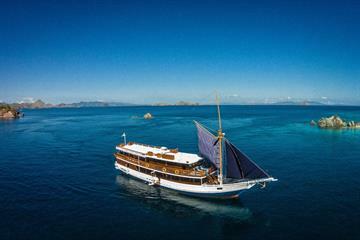 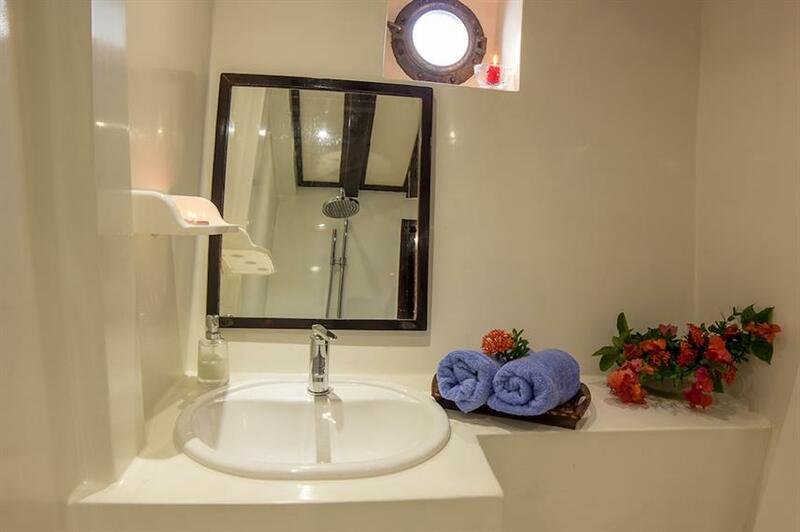 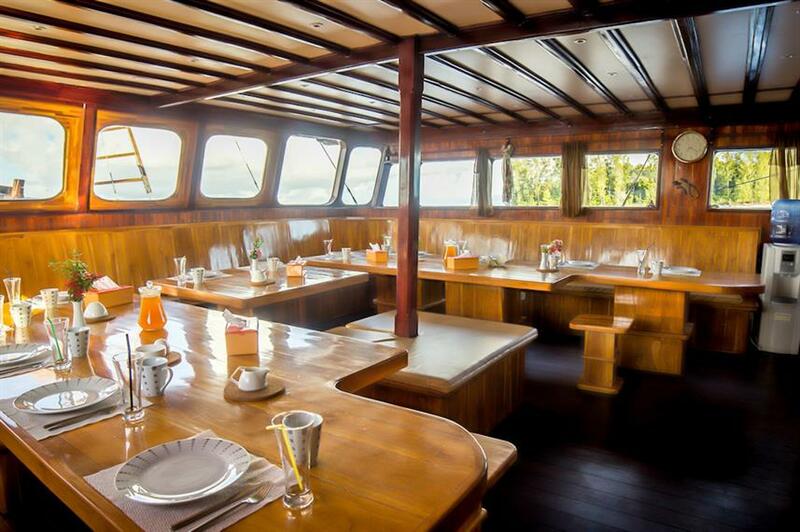 The 12 member crew of Euphoria Indonesia provides five star service and personal attention for up to 14 guests. 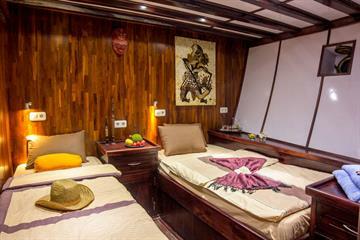 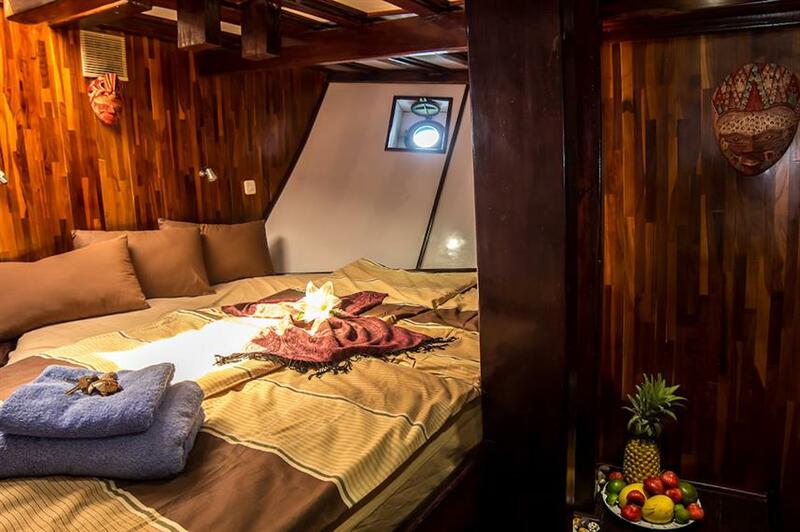 This premier liveaboard holds true to its name and will provide guests with the ultimate diving holiday. 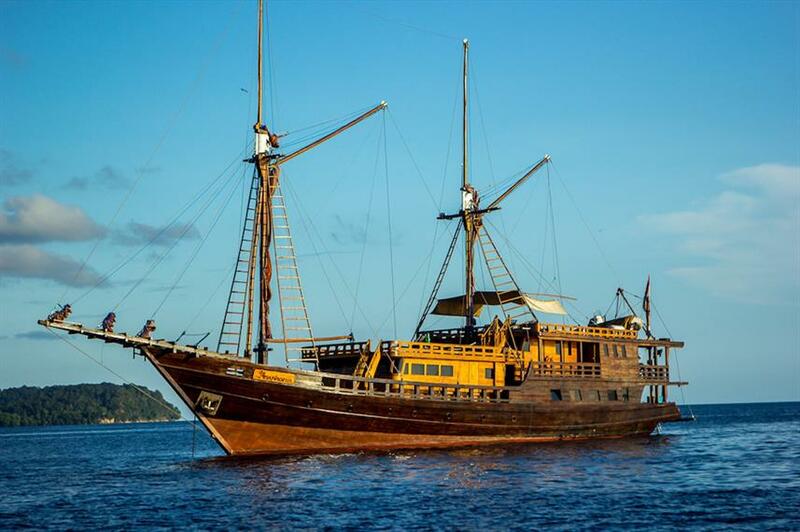 Euphoria schedules year round diving cruises in Indonesia with two amazing itineraries: Cenderawasih Bay and Cenderawasih National Park for spectacular whale shark encounters and a spectacular cruise to Raja Ampat, renowned for its massive manta rays and beautiful coral reef. 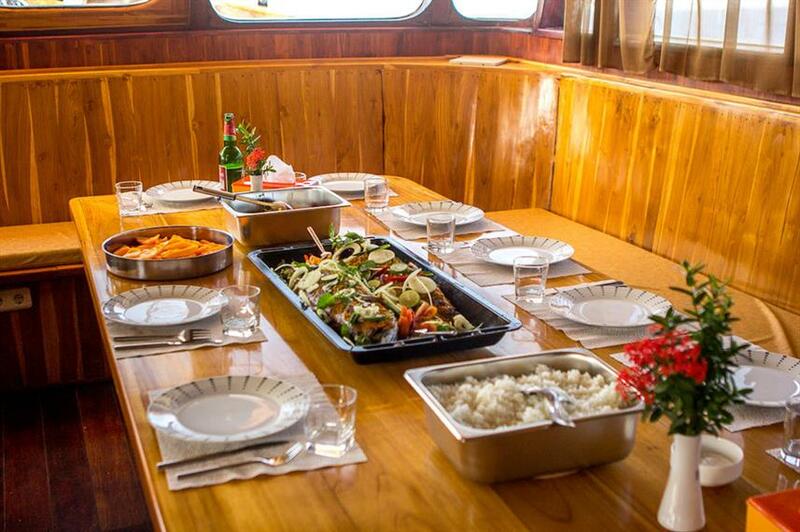 Each cruise includes 11 nights onboard, full catering (European and Asian cuisine), hot and cold drinks and up to 4 dives a day. 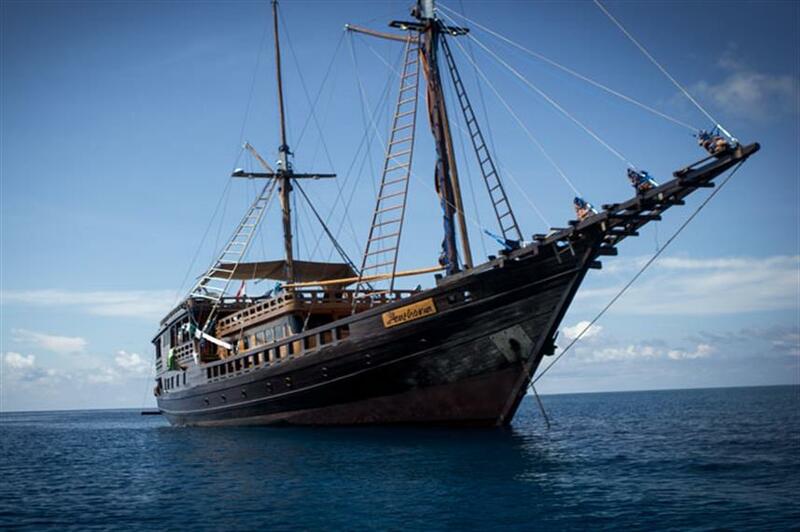 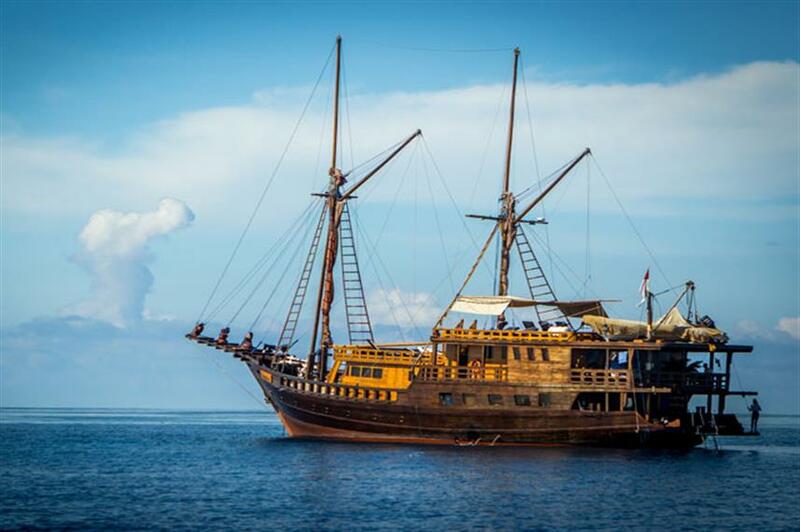 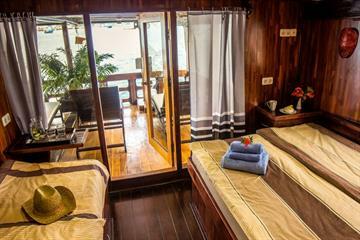 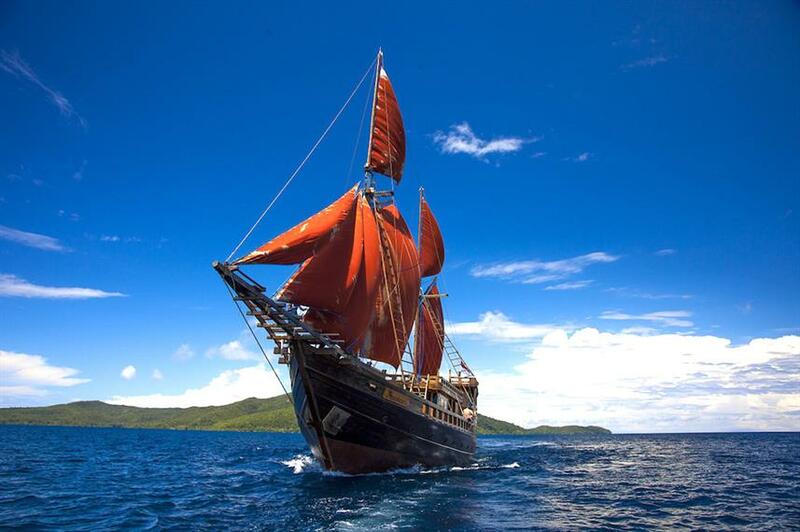 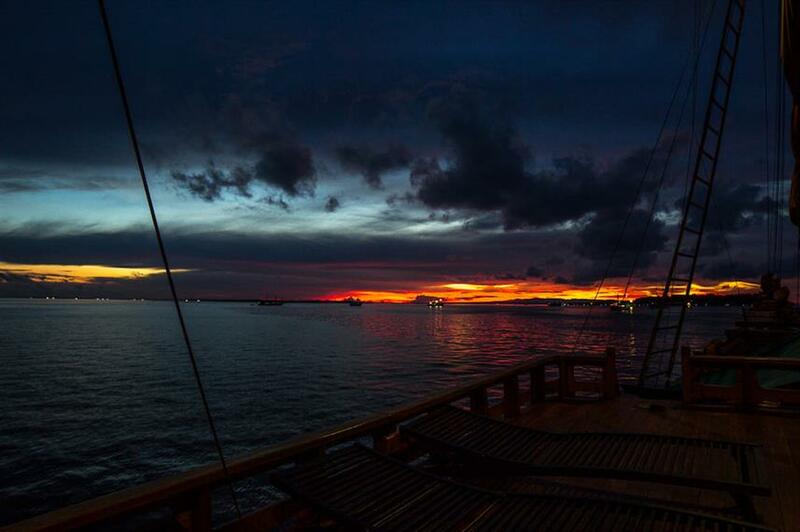 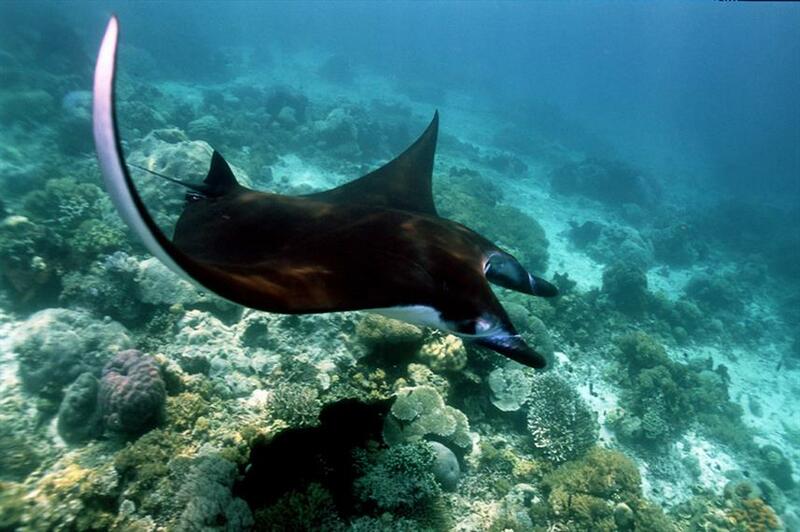 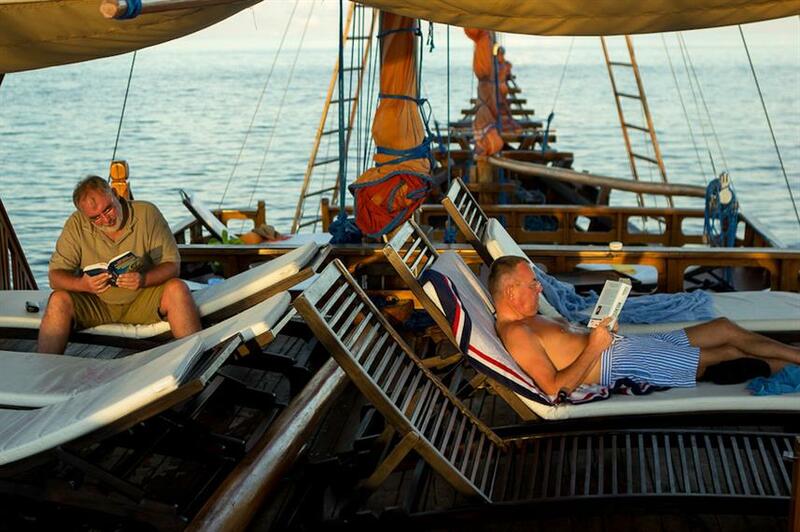 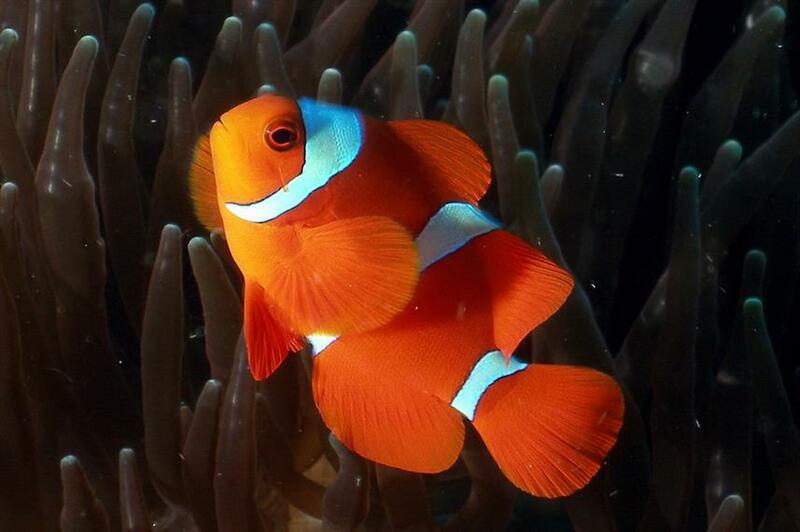 A Euphoria Indonesia liveaboard diving holiday is a fantastic luxury adventure. 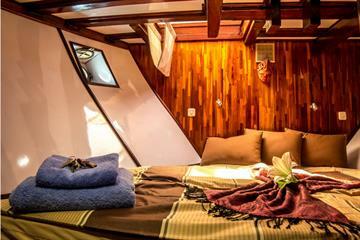 Book yours today. 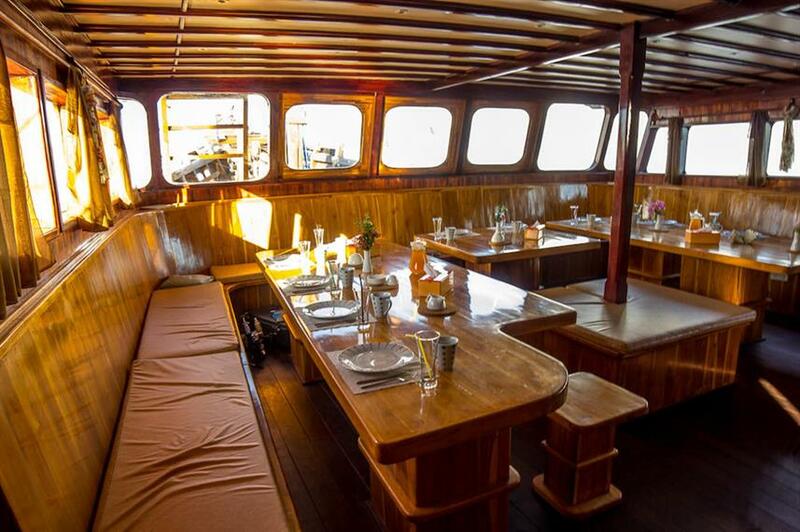 A note to allergy sufferers: There is a resident parrot and cat on board. 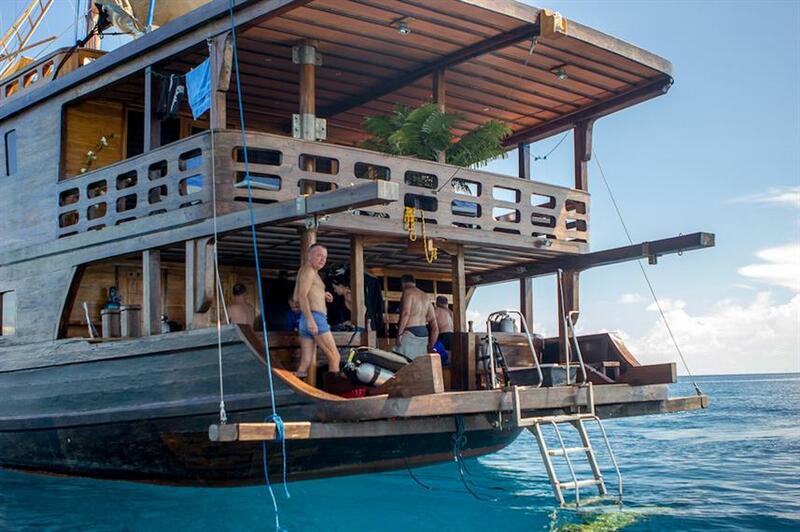 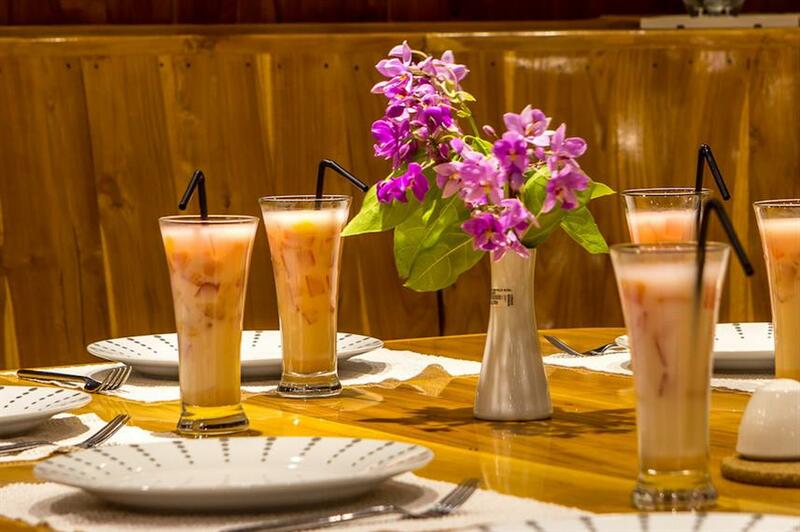 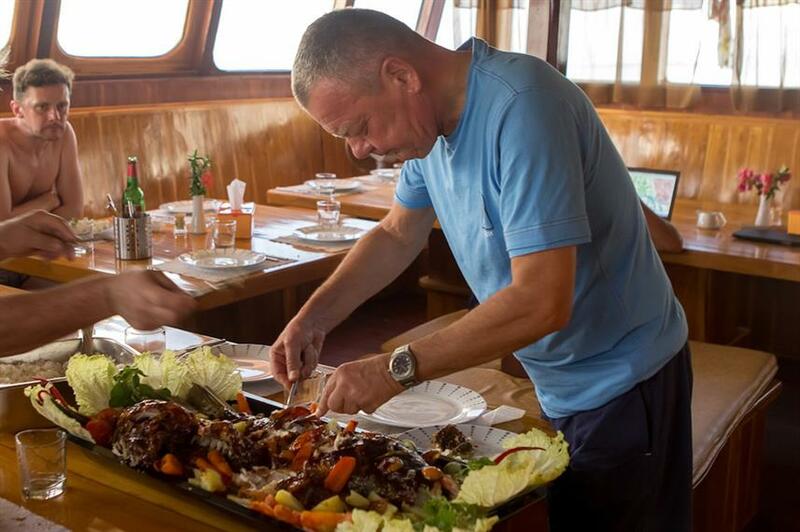 Included: VAT, Airport Transfer, Hotel Transfer, Drinking Water, Soft drinks, Tea & Coffee, Welcome Cocktails, Beach BBQ, Full-Board Meal Plan (All meals), Snacks, Diving Package, Kayaks, Land Excursions, Cabin Towels. 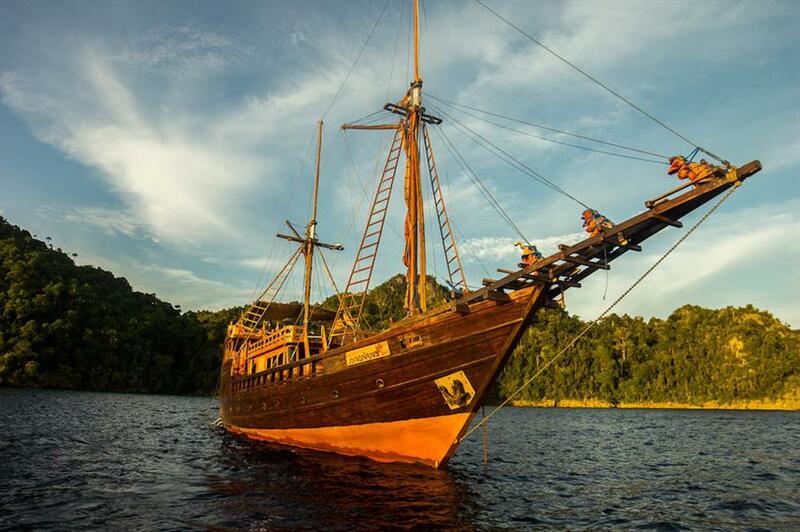 Required Extras: National Park Fees (190 USD per trip), Port Fees. 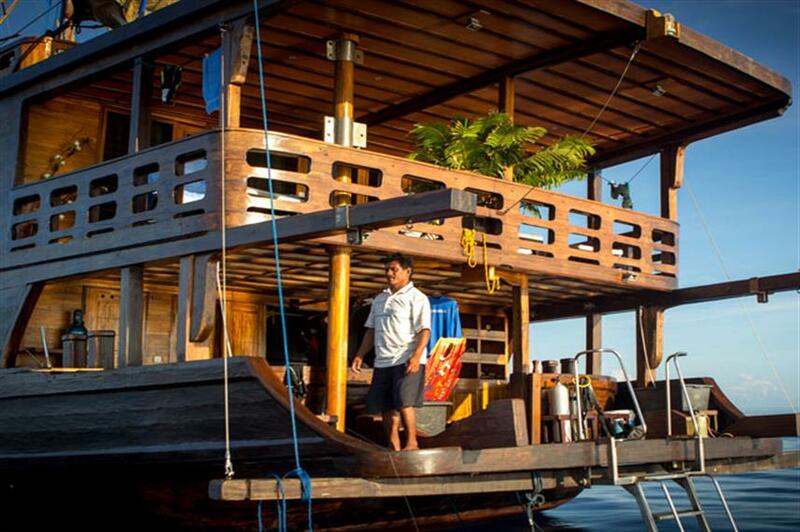 Optional Extras: Gratuities, Alcoholic Beverages, Rental Gear. 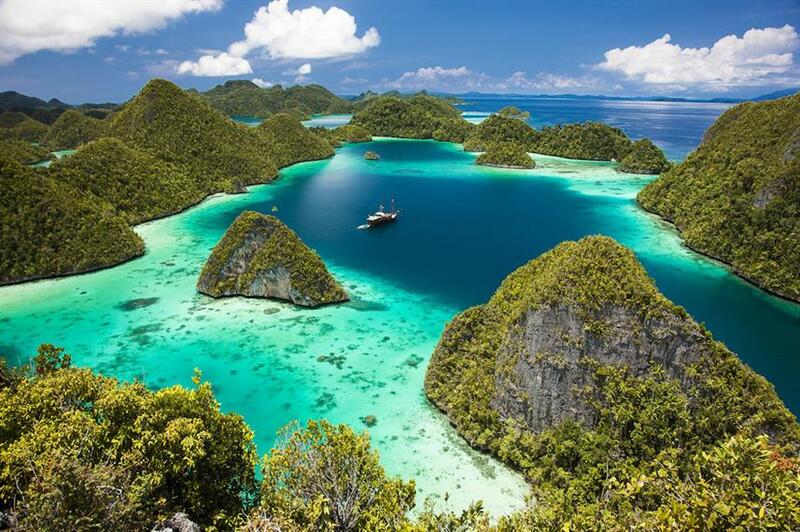 The most dive sites were filled with corals, the crews were nice, and the dive guides who are from papua could find invisible small stuffs even in strong current from far away. 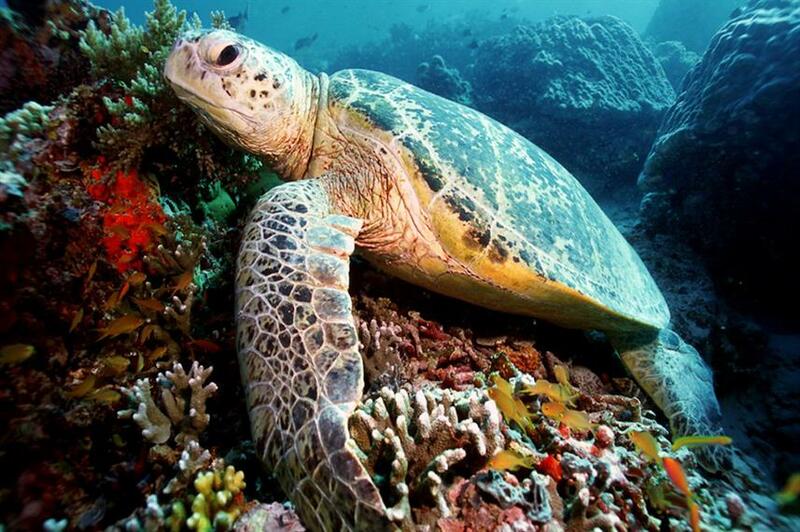 There, the names were Florence and Johar, eye site doesn't seem humen. 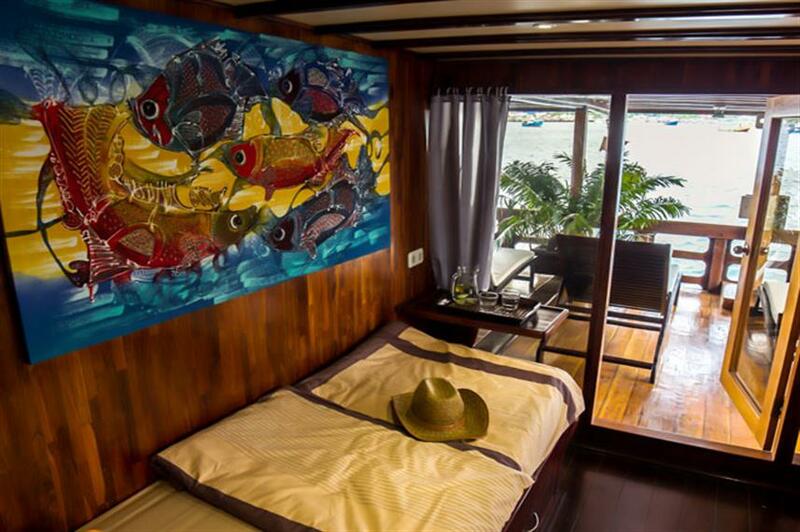 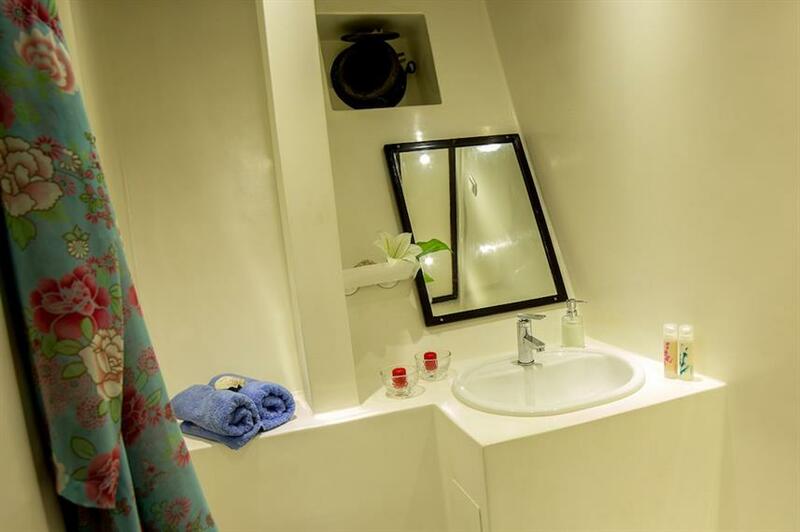 Arthur, the owner was flexible with site and schedule due to the divers requirements. 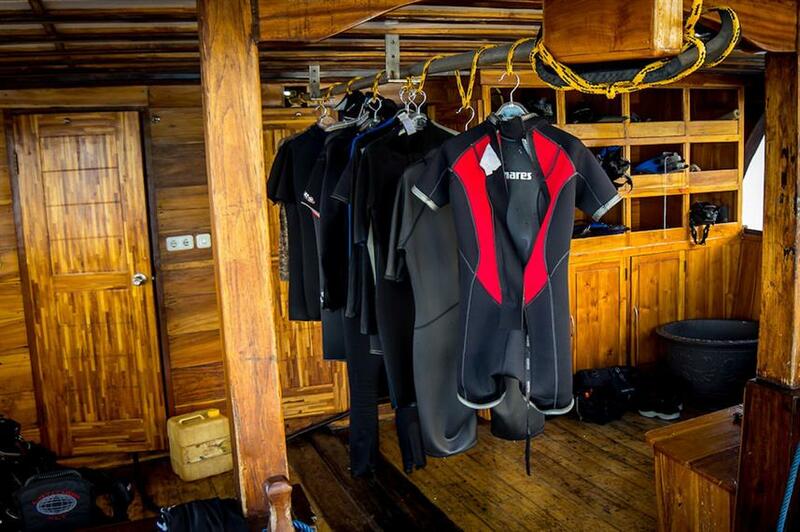 But informing diving details aheads and introducing what we are going to do was missing. 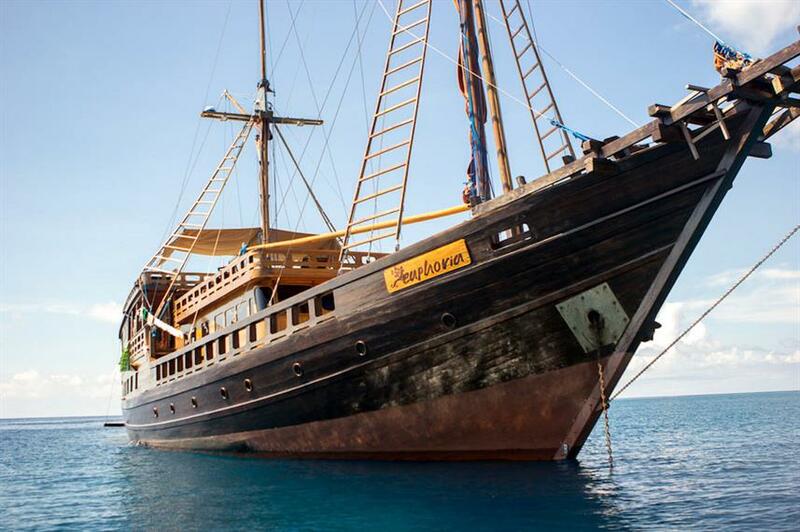 Overall it was very relexed trip but very different from other liveaboard divings(this was my 10th liveaboard trip). 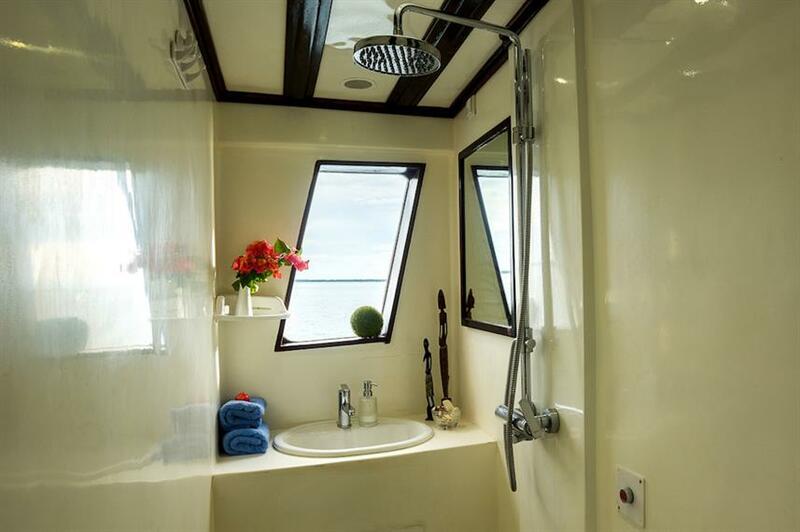 If you know what to expect and what to ask from the site it could be good value for money. 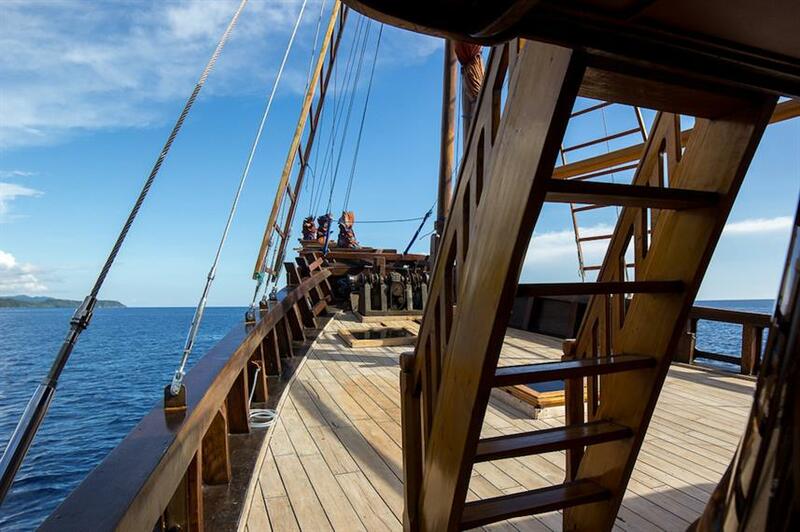 The crews were very kind and tried very hard to fullfil your needs. 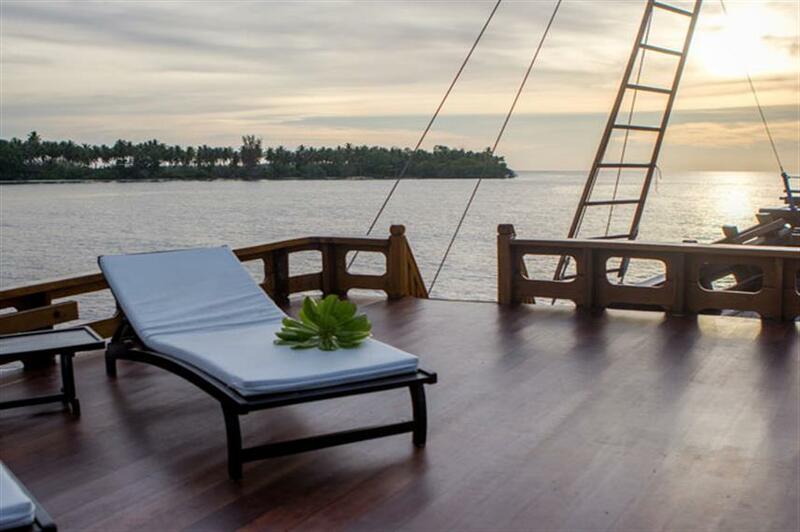 The upstair deck cabin has nice terrace. 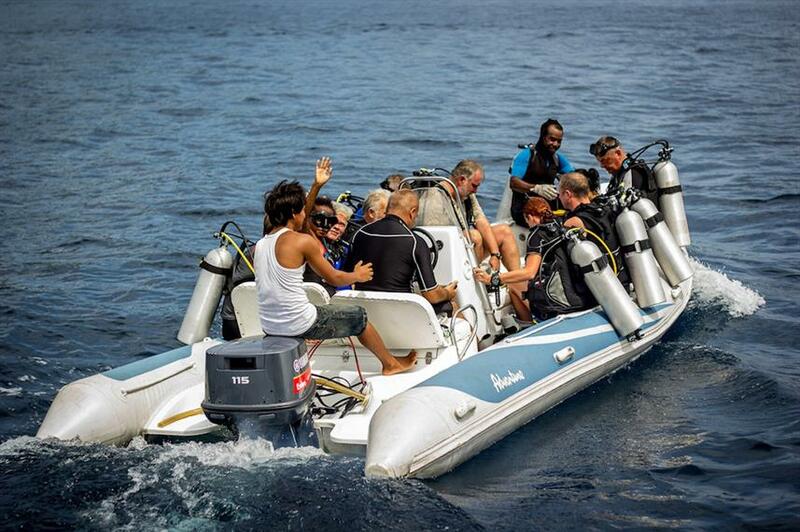 Dive guides were fantastic. 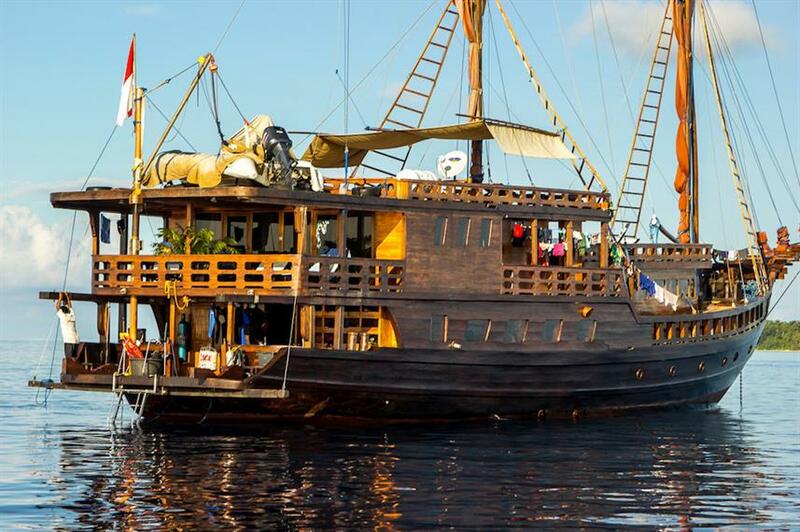 Wayag island was stunning, Bumphead Parrotfish in abundance, Challenging dives and great dive buddies.